This book is eye candy. It was written as a companion to a PBS Series, so it has a lot of pretty pictures from the television show. 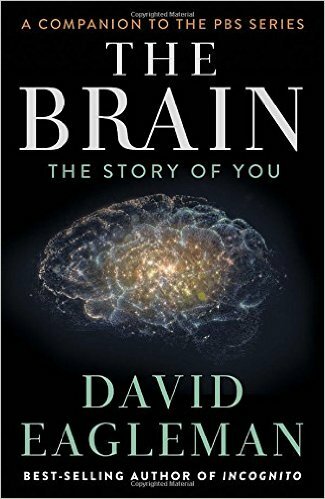 Not surprisingly, it is very accessible, focusing on the marvelous wonders of the brain rather than the technical details. I checked it out to get the most up-to-date information on neuroscience. It didn't satisfyingly provide much growth in the area until the last chapter, about the possibilities of the technological future. Some of these possibilities were cool, such as being able to decrypt a person's brain after they die. Some possibilities seemed downright creepy, such as preserving your body so that you can be revived when we obtain that technology. Why is that creepy? Not only would it be disorienting for the thawed, but it also just seems like a refusal to accept the natural of order of things. We're supposed to die. We're not supposed to find loopholes to death. Another creepy idea was that we could move forklifts off-site, with our minds. Some people who are paralyzed already do this with robotic arms, so why not? There were lots of interesting ideas, but a lot of the so-called research seemed more like expensive play to me than well-designed experiments. For example, “to test time perception in frightening situations, we dropped volunteers from 150 feet.” Yeah, because that's clearly a good idea. Who are these poor volunteers? I guess it's an improvement from the Stanford prison experiment in 1971 where the randomly assigned prison guards quickly became abusive to the subjects role-playing prisoners. I felt like Eagleman gave too much mileage to the brain. He treated the world as if it doesn't exist outside our perceptions of it and as if we are nothing but the material interactions of our brains. He did have credibility, however. He gained this when he described the disturbing instance of Charles Whitman who killed 16 people and injured 32 others. A book on play I read recently explained Whitman's aberrant behavior because he didn't get enough play as a child. Eagleman's explanation was that when Charles' brain was autopsied, they found a tumor pressing against his amygdala, the center for stimulating aggression. Who are you going to believe? So, if you want a light, engaging read about neuroscience, this book is for you. For people more serious about the subject, look elsewhere.